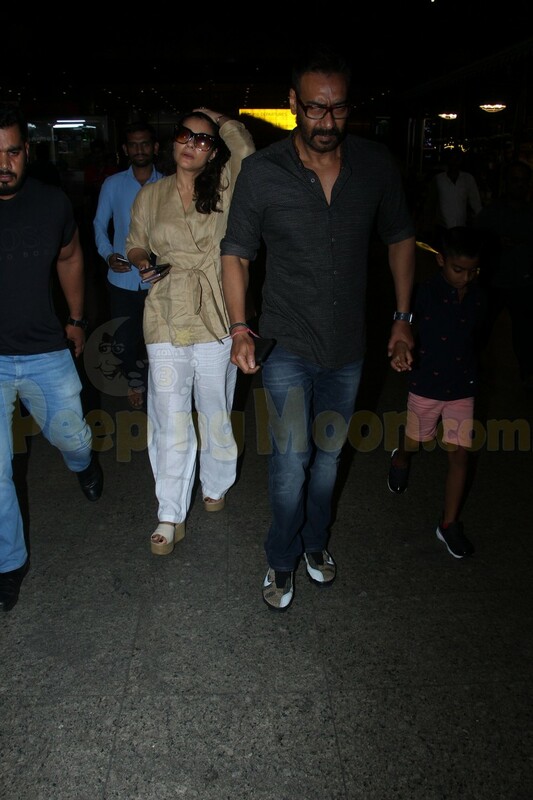 Ajay Devgn was papped at the airport last night with wife Kajol and son Yug Devgn. Aamir Khan and Kriti Sanon were also clicked at the Mumbai airport as they travelled in and out of the city. Ajay, Kajol and Nysa arrived home last night. Aamir got travel-ready with his travel partner, his favourite pillow. Kriti made her way back to Mumbai.